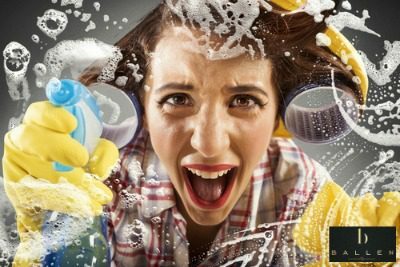 Home Maintenance Tips for Las Vegas Residents | Get your clean on! Being a homeowner is rewarding, but it’s also a big responsibility. Keeping things repaired and in good working order is important to maintaining the value in your home. You want to protect your investment and make your home a wonderful place to spend your time. Thoughts of home maintenance got you stressed? Check out this information on house cleaning services, handymen, repair services, and home improvement resources in Las Vegas. Because it’s your home, you can choose to renovate, redecorate, and make home improvements as you see fit. Of course, wanting to do these things doesn’t mean that you have the time or the skills needed to complete your dream project. This is where Las Vegas home improvement businesses come in handy. Fortunately, there are plenty of quality service businesses in and around the Las Vegas area. From house cleaning services to pool designers, we’ve got you covered with options that were suggested by other Las Vegas residents. Life gets busy, and we sometimes need to choose options that allow us to use our time wisely. One option to consider is the hiring of a housekeeper or cleaning person. There are many things to consider when choosing a person to come into your home and clean for your family. You’ll first need to consider what services you’ll require from a housekeeper. This will have an impact on how often you’ll need someone to be available. If you spent a great deal of time away from home, you may just need someone to come in weekly or biweekly to tidy up and do basic cleaning. If you have a large family, you may need someone to come in more than once a week. If you prefer to do much of the cleaning yourself, but you would like to have someone come in and do the bigger jobs, a once a month option might be best for you. Knowing what you need is the most important step in making sure your expectations are met by whoever you hire. Your next consideration will be whether to hire someone as an independent contractor or to hire someone who works through a house cleaning company in Las Vegas. Choosing a company has benefits that include not having to worry about financial details like taxes. Most cleaning companies send out crews to do their jobs. This means that the job gets done quicker. If you’re going to choose this route for your home cleaning needs, choose a company that is reputable and checks the references of their employees. You may choose to hire someone who is an independent contractor. If you choose this option, educate yourself on the legalities of hiring someone who isn’t employed by a company. You’ll want to check references thoroughly. Choose your payment preference before you begin looking for a housekeeper. Some cleaning people get paid by the hour, while others get paid per job. Go through an interview process with prospective housekeepers. Be sure to ask about their past experiences, why they chose this line of work, and what they enjoy about their job. Ask for references and get a feel of what they do as part of their cleaning process. When you decide who you want to hire for this important job, create a trial period that gives you a chance to see if the arrangement works for you and the housekeeper. Create clear boundaries and a list of expectations to save yourself from things that may crop up if they aren’t addressed initially. Things you may want to consider are the use of your appliances, media equipment, and phones for personal use. Are there certain rooms you prefer to clean yourself? Discuss things you would like done that may be above their normal cleaning routine. There may be an additional charge for these things, and it’s best to be clear from the start. Here are a few of the house cleaning services suggested by Las Vegas residents. The Summerlin Maids are located at 4550 W. Oakey Blvd., Suite 111 in Las Vegas, NV. This address is in the 89102 zip code area. 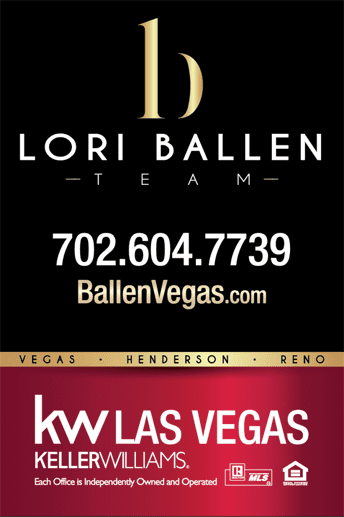 They can be reached at 702-249-8329. The Summerlin Maids Project is a branch of UREP Maids. UREP Maids has other branches that serve a variety of communities in Las Vegas. They do house cleaning, carpet cleaning, tile & grout cleaning, driveway cleaning, and offer some landscaping services. Cleaning fees depend on the square footage of the home and the hours needed for service when it comes to house cleaning. Other services have their own fees. E Crew Cleaning Services is located at 4760 S. Pecos Road, Suite 103 in Las Vegas, NV. This address is in the 89121 zip code area. They can be reached by phone at 702-521-8738 or 702-531-4403. They offer residential and commercial cleaning services. Services offered include carpet cleaning, tile & grout cleaning, and upholstery cleaning. Choice Cleaning Solutions, LLC is located at 6280 S. Valley View Blvd., Suite C318 in Las Vegas, NV. This address is in the 89118 zip code area. They can be reached by phone at 702-756-1606. Choice Cleaning Solutions has been in business for over 20 years in Las Vegas. Their cleaning staff is highly trained and uses cleaning methods that are friendly to the environment. They do residential and commercial cleaning. They offer regular services or one-time services that include carpet cleaning and upholstery cleaning. We all find that we need little things taken care of around the house that we just don’t have the time or the skills to complete. These things may include painting a spare room, cleaning the rain gutters, or fixing a loose floorboard. When these projects arise, we look for handymen in Las Vegas to fix things. Like finding a cleaning service, housekeeper, or other service provider, you’ll want to make sure you find a reputable person to do the job. One of the best ways to locate a handyman is to ask your friends, neighbors, and family. Check with the Better Business Bureau, search for online reviews, and check all references provided by the person you’re considering for the repair or home improvement project. Be clear about your expectations related to the job you need completed by the person you choose. Discuss the length of time projected to complete the job, the price of the labor and cost of materials, and any specifics that are essential to having the job completed exactly as you wish. While there are some home projects you might consider taking on yourself, consider safety issues before you begin. It might seem like an easy enough job to clean the rain gutters, but it might be safer to let an experienced person do that job. Painting a room is an easy enough project, right? While many people enjoy this type of home improvement task, it might be less frustrating for others to hire someone with the tools and experience to do the job. 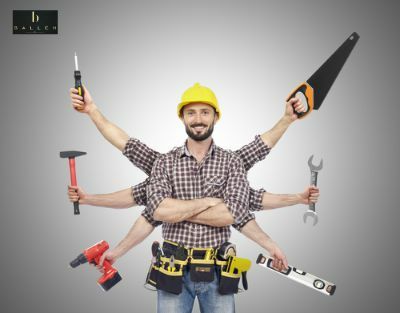 A Las Vegas handyman may not be listed on an official website, so you might have to do a bit of research to find one suitable for your needs. Handymen that were suggested by Las Vegas residents. Mattgyver’s Helping Hands is owned by Matthew Baker. He’s been in business for over 20 years and offers a variety of services. Services include projects involving solar power, electricity, painting, building, and installations. He also does art projects and baking! You can reach him at 702-639-7358. Las Vegas Handyman is located at 4710 W. Dewey Drive, #100 in Las Vegas, NV. This address is in the 89118 zip code area. They can be reached by phone at 702-248-0550. They provide commercial and residential services. Many people enjoy the beauty of nature but don’t have the green thumb needed to make flower gardens thrive. Keeping shrubs trimmed and the grass neatly cut can be time-consuming tasks that are better done by a professional. When it comes to landscaping, it’s sometimes easier to find a talented service person to create the curb appeal you seek. Landscaping doesn’t just stop with trimming shrubs and planting beautiful flowers. Care often involves sprinkler systems and other equipment to keep things thriving. Calling in a professional to repair these items is easier when you have a regular company or person in mind. Don’t forget care for your spa or pool while you’re looking for professionals to care for your outdoor items. We enjoy these features and use them for entertainment, so it makes sense to keep them in top working order. Here are a list of landscaping, pool, and repair businesses in the Las Vegas area that were suggested by residents. Daytec Landscaping Services is located at 4839 Austell Street in Las Vegas, NV. This address is in the 89129 zip code area. They can be reached by phone at 702-354-6682. Courtney Landscaping & Pools is located at 1969 Whitney Mesa Drive in Henderson, NV. This address is in the 89014 zip code area. They can be reached by phone at 702-435-5799. Though this business is not located in Las Vegas, it was suggested by a Las Vegas resident. Showcase Landcare Services is located at 5130 W. Patrick Lane in Las Vegas, NV. This address is in the 89118 zip code area. They can be reached by phone at 702-531-6789. 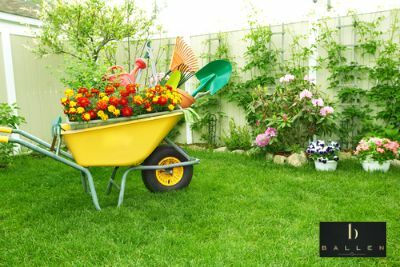 They have over 10 years of experience in Las Vegas landscaping. They pride themselves in their landscaping designs and customer service. Ronnow Lawn Sprinkler Inc is located at 2300 Rosanna Street in Las Vegas, NV. This address is in the 89117 zip code area. They can be reached by phone at 702-254-3088. They are open Monday – Saturday from 7 AM – 7 PM and Sunday from 7 AM – 5 PM. This family owned business has been serving Las Vegas residents since 1969. Their motto is We Do It Right The First Time. Dependable Pool Service is located at 6955 N. Durango Drive, #1115 in Las Vegas, NV. This address is in the 89149 zip code area. They can be reached by phone at 702-872-2344. They are open Monday – Friday from 7 AM – 6 PM and Saturday from 8 AM – Noon. Whether you are doing home improvement projects yourself or hiring someone else to do them for you, you’ll need to find the items you need to complete your projects. It may be something as simple as installing a new ceiling fan or something more complicated, but the likelihood of finding the product you’ll need is good when you look at the choices available in Las Vegas for home improvement stores. Many home improvement stores in Las Vegas offer services to help with home projects. If you prefer to go the do-it-yourself route, some places offer consultations with qualified staff. They can give you tips on how to complete the project in the easiest way possible. This could save you both time and money. If your home improvement projects are large, you might find it easier to pay for the installation, repair, or improvement. Many stores have highly trained professionals who do this on a daily basis. You can trust them to do the job at a high level. If problems do occur during the job, you are more likely to find a positive resolution if you’re using a service person from a reputable store in the Las Vegas area. Home improvement projects that you might need help completing include kitchen cabinet installation, bathroom renovation, lighting installation, garage door installation, or carpet installation. Here are a list of hardware stores in the Las Vegas area that were recommended by local residents. Ferguson Showroom is located at 4175 S Grand Canyon Drive in Las Vegas, NV. This address is in the 89147 zip code area. They can be reached by phone at 702-368-2284. They are open Monday – Friday from 9 AM – 5 PM and Saturday from 10 AM – 5 PM. Products you will find at Ferguson Showroom include appliances, ceiling fans, plumbing fixtures, lighting, faucets, and whirlpools. They offer services that include cabinet design, appliance installation, and product delivery. They have service consultants to help with your home improvement projects. Lamps Plus Summerlin is located at 8800 W. Charleston Blvd. in Las Vegas, NV. This address is in the 89117 zip code area. They can be reached by phone at 702-242-4995. They are open Monday – Friday from 9:30 AM – 8 PM, Saturday from 10 AM – 6 PM, and Sunday from 11 AM – 6 PM. They offer a large selection of lighting options for your home or business. With so many products available in the store, you don’t have to wait to bring your new lighting home for installation. They have designer brands and staff that is knowledgeable and trained by the American Lighting Association. They will also install your lighting for you. Lowe’s is a large home improvement store with locations across the nation. They offer everything from appliances and paint to lighting and building supplies. The Home Depot is another large store that offers products related to home repair and improvement. They also offer services such as carpet installation, key cutting, and propane exchange. Other installation services include hardwood floor, water heater, roof, garage door, siding, countertop, and fence. Many locations offer truck rentals.